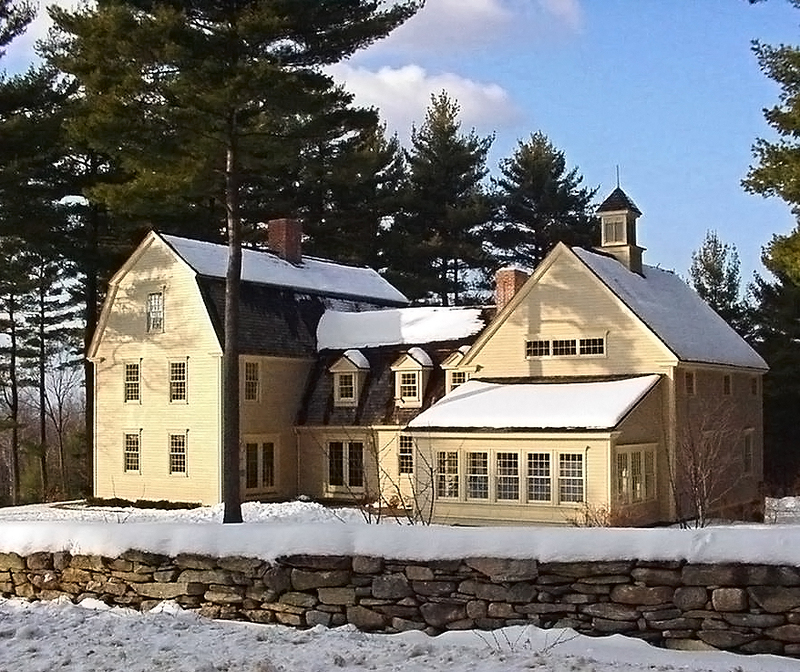 The Gambrel features the typical two-sided roof but with two slopes on each side; the upper slope is positioned at a shallow angle, while the lower slope is steep. 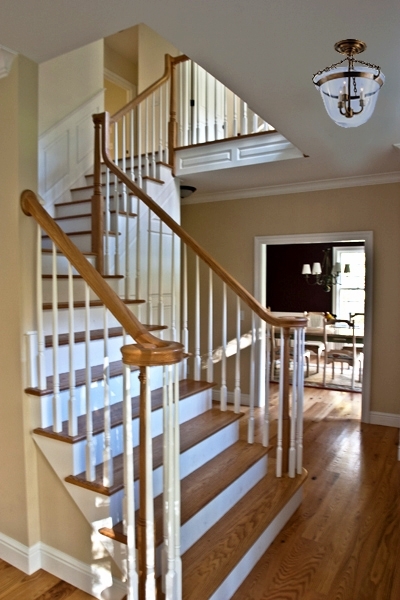 This design provides the advantages of a sloped roof while maximizing headroom inside, allowing a complete second or third story to be built at minimal expense. This feature is also prevalent in barn roofs; it's not uncommon to hear it described as a "barn house." 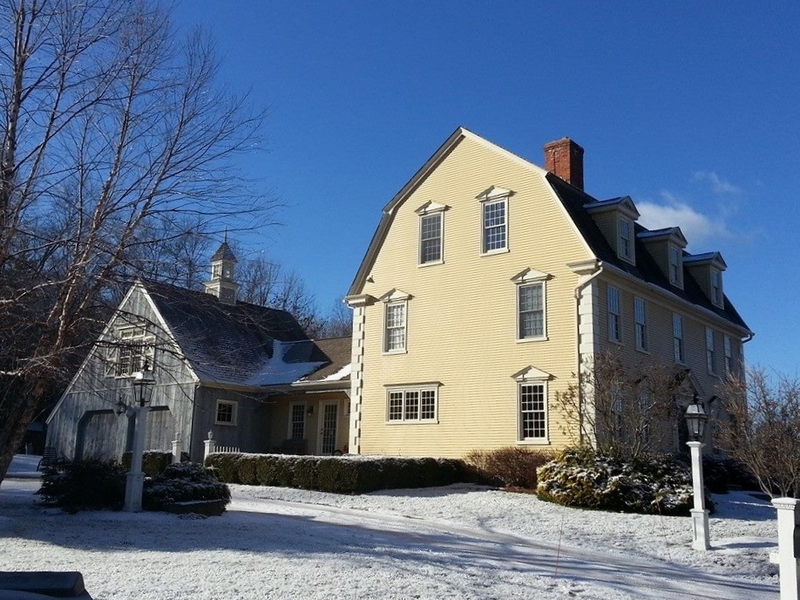 The Gambrel is one of the prettiest and most varied vernacular house styles built. Often as a one and-a-half story to three story plan allowed by its efficient roof design and sometimes seen with flared eaves, the roof structure might also feature shed, hipped, or gable dormers. 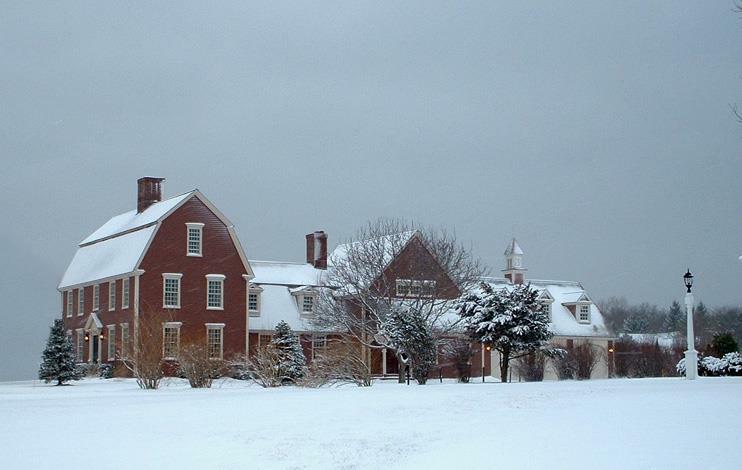 Siding is conditional to the location of the home; often wood clapboard or shingle siding in New England locations and brick or stone further along the Southeast coast or further inland. 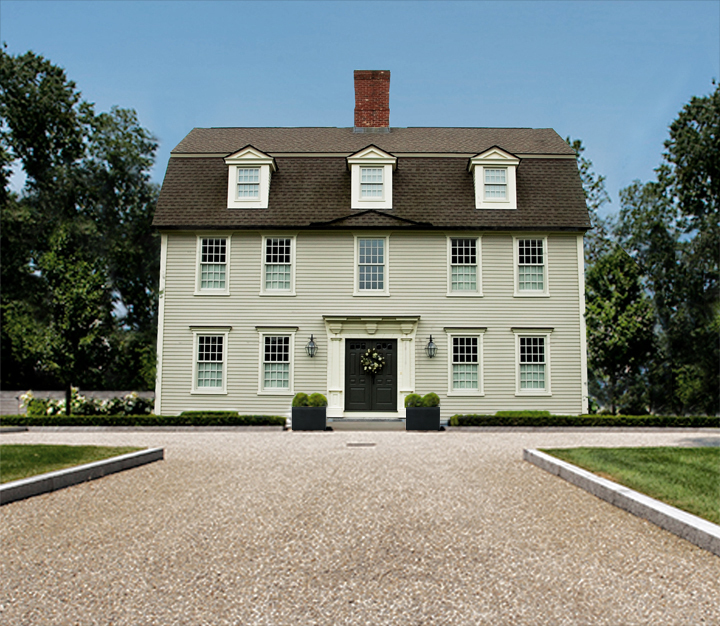 The façade may be symmetrical, but it's common to see side entries and balanced asymmetry. Central or Gable-end chimneys could both be characteristic features depending on the era it was built. 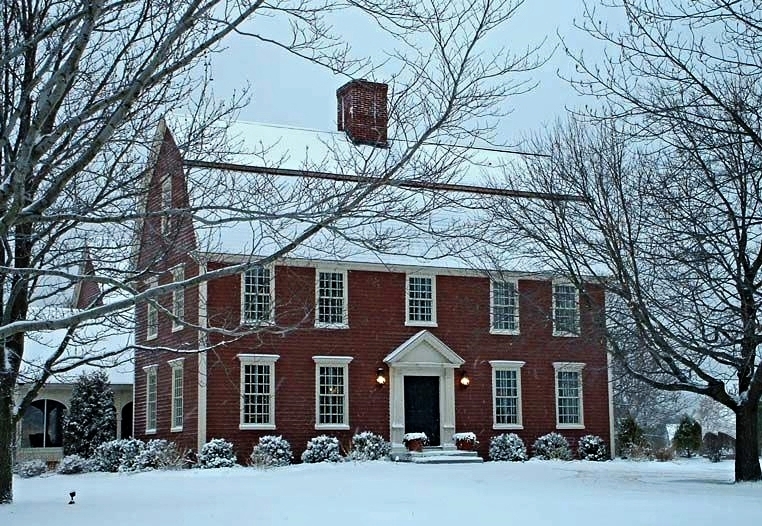 Decorative windows in gable ends is also common and the entry may have a decorative hood with brackets or portico with classically-styled columns or pilasters. 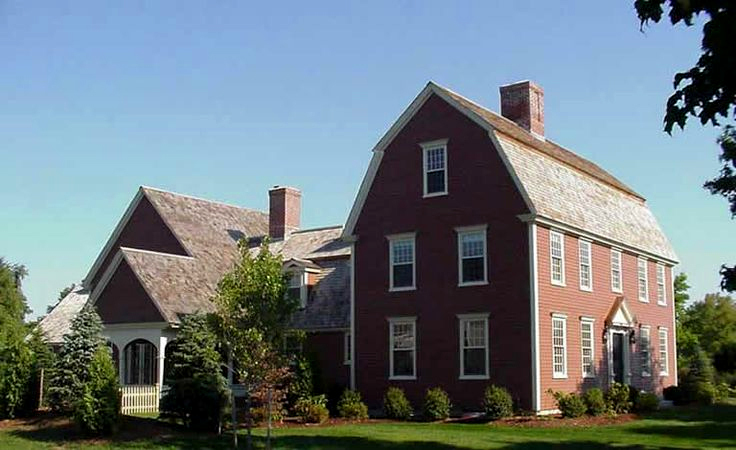 The oldest known gambrel roof in America was on the second Harvard Hall at Harvard University built in 1677. Claims to the origin of the style include: Spanish, Portuguese, Dutch, and English mariners who had visited or settled in the area of Southeast Asia and saw dwellings with this roof style. Originally, thr gable end was an opening to allow smoke to dissipate from the cooking fires.